This question unfortunately isn’t as simple as a one word answer. Before I tell you what you need to do to start losing fat I would like to talk about why we get fat in the first place and what I believe are the fundamental causes of obesity. WHY DO WE GET FAT IN THE FIRST PLACE? Roll back the clock 40-50 years and we didn’t have the obesity problem we see today, especially with children. If we compare our diet 50 years ago to a diet today there are some major differences in what we ate then and what we consume today. Let’s start with processed foods. Today just about everything goes through processing unlike a few years ago a lot of people would have cooked straight from the garden, farm or animal. The food wasn’t stripped of its fat and fibre so it could sit on a shelf for longer in the super market and it wasn’t pumped full of extra sugar, wheat and god knows what else either. The overall consumption of wheat, grains and sugar in general was a lot lower back then than it is today. The consumption of fat (saturated) and protein was also higher back then than it is today! So over the last 50+ years we have reduced our fat and protein intake and replaced it generally with empty calories. Many people believe we are fat because we simply eat too many calories. This is true, but I see us eating too many calories as a side effect of the types of food we are eating today. The answer of just eat less food isn’t really a good one and is typically a quick short term fix. Food has always been readily available in the past 100-200 years (excluding war time) but only in the last 20-30 years have we really started becoming fat, obese and developing metabolic disorders. The consumption of wheat and sugar are of the two major types foods we have dramatically increased consumption of in the last 50 years. Wheat especially has a number of negative health effects partly because of its gluten content. Wheat not only causes havoc with your digestive system, immune system and increases inflammation (now believed to be the main cause of heart disease) but it is now being shown to play a role in the way our hunger hormone leptin operates. Normally when we eat food leptin levels rise signalling to our brain we’re full and no longer need food. When we don’t eat for a period of time leptin levels decrease signalling to our brain that we’re hungry and need food. This is why you feel hungry on a low calorie diet as our leptin levels drop to low levels resulting in hunger signals to the brain. The consumption of wheat causes leptin sensors around the body not to work properly. Even though we have eaten a meal and raised leptin levels our brains don’t know this as the sensors aren’t working properly and can’t tell the brain we are full. This causes people to keep eating and would explain why obese people have high leptin levels despite them consuming more food! Fructose is metabolised exclusively by the liver and like alcohol is a toxin. The liver can hold around 400 calories at any time. When the liver becomes full any extra food / calories will be stored as body fat. Because fructose is only metabolised by the liver the consumption of fructose normally always results in body fat storage!! Most processed foods contain not only fructose but other sugars such as glucose and lactose. 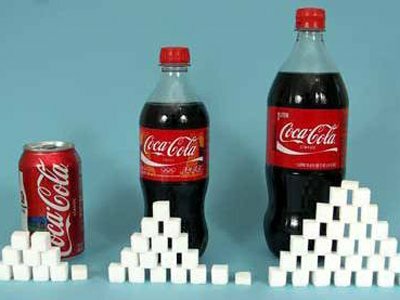 When we mix fructose with other sugars and fats it causes problems for the liver and the result is a fat storing party! Muscle and organ tissue doesn’t use fructose unlike glucose. Because there is no real use for fructose apart from liver glycogen the consumption of it should be kept to a minimum. Lastly I would like to cover insulin. High consumption of sugar and wheat dangerously raises blood sugar (glusoce) levels. Insulin is secreted to level out the high blood sugar. The blood sugar will either be converted to glycogen and used as immediate energy or converted to body fat. The more we eat these foods the more insulin is needed each time to clear blood sugar. Over time this will cause insulin resistance. Fat and Protein don’t cause this type of blood sugar hike and don’t cause insulin resistance. In fact amino acids (protein) are needed to allow glucose to enter the muscle cell. This is why we should consume protein with every meal especially with carbohydrate and sugary meals as it will encourage glucose to be used as glycogen rather than body fat. II. We eat too much food! Eating too much of ANY food good or bad will make us fat. However from working with hundreds of people I believe that we can eat higher amounts of the foods that we evolved on and not gain fat as quickly as eating the same quantities of food we didn’t evolve on and have only recently introduced to our diets. When we eat foods such as meat, fish, vegetables, eggs, and nuts our body is allowed to regulate energy expenditure correctly. It doesn’t suffer from the effects I mentioned above. If we eat and don’t know we’re full then we’re going to get fat! If we don’t eat the foods that cause these problems then we won’t over eat and we won’t get fat!!! Lack of exercise is a factor in fat gain!!! People have this idea that if they exercise they can eat more of the foods that cause fat gain and unfortunately this isn’t the case. While you may be able to maintain current levels of body fat through exercise while continuing to eat poorly, it is very hard to achieve appreciable fat loss while continuing to eat this way. Exercise, particularly resistance training and high intensity training (HIT) helps with the fat loss. Resistance and HIT training raises cortisol (short term) this is needed to break down fat and glycogen. It is also needed to break down muscle so we can rebuild again stronger and bigger! Resistance training raises testosterone which builds muscle. The more muscle we have the higher our resting metabolism will be. This also means we can eat more carbohydrate / sugar than the average person that doesn’t perform these types of exercise. 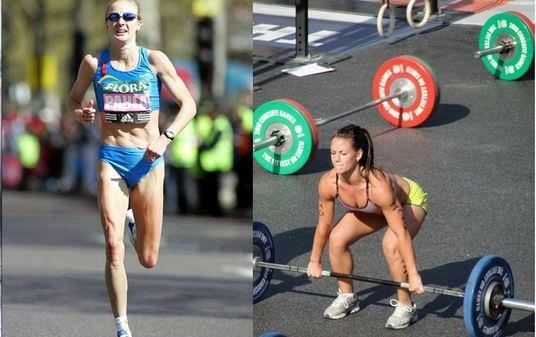 Resistance training affects fuel partitioning and what we do with our energy. When we perform resistance training we deplete glycogen and increase fatty acid metabolism. The easiest way to replenish glycogen is through the consumption of carbohydrates. The next time we consume carbohydrates we will use this readily source of energy to replenish glycogen rather than converting it to body fat. People who don’t train don’t deplete glycogen stores like people who do resulting in excess food (especially carbohydrate) being stored as body fat instead of glycogen, particularly muscle glycogen. The more regularly we deplete muscle glycogen the more sensitive our insulin become. This is good as less insulin is needed to replenish glycogen. This will help prevent insulin resistance and type 2 diabetes. Medium intensity exercise (MIE) such as jogging doesn’t offer the same benefits as resistance training and HIT. MIE without resistance training and HIT will cause muscle loss and prolonged elevated cortisol levels. Because the primary source of energy is fat when performing MIE our body adapts and starts introducing survival mechanisms to stop this fat burning process. It lowers metabolism and decreases muscle mass. In certain cases our body will start to hold on to extra fat to fuel the type of exercise. The main adaptions to MIE are to decrease muscle, become aerobically fitter, lower metabolism and ensure fat cells are always full.